"You don't have to understand physics to play Hologram Wilds, the classic fruit machine with a futuristic feel, and win up to 40,000 coins in a single spin." Fruit machines have come a long way since the 19th century when they first appeared in their physical form. Today, there are no more levers to pull and fruit machines get more and more sophisticated with outstanding graphics and animations keeping players to spin the reels for a long time. One of the most prolific software providers, Playtech, in 2017 came up with the classic fruit machine with a twist in its design. 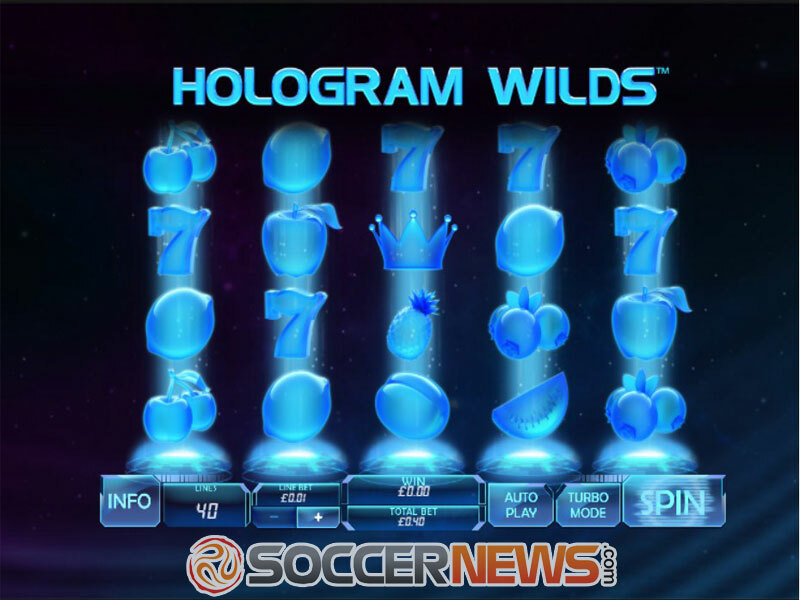 It is Hologram Wilds, a fruit machine which can be classified as an SF-themed slot thanks to its futuristic visuals and sounds. The reels are transparent and set against a dark blue background, looking as if floating in outer space. They are populated with three-dimensional representations or holograms of fruits which stand for both high and low-value symbols. While all fruits and Wilds are rendered in the lighter blue colour and turn to their actual colours when included in a winning combination, the Scatter symbol comes in yellow to add more excitement to the gameplay while you expect three of them to strike the reels. The visual appearance of the game is outstanding and we have to hand it to Playtech for using the old-school symbols in a completely new way to provide players with a unique gaming experience. Hologram Wilds use a 5x4 play field with 40 fixed paylines. 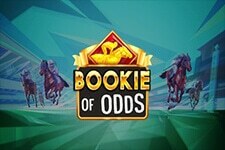 Players can wager between $0.01 and $0.40 per line, meaning that a total bet per spin can be anywhere between $0.40 and $16. Not much if you are a high-roller, but don't dismiss the 2017 release just because of its betting range as it comes with a great winning potential. The reels are home to the traditional 7 symbols and 9 different fruits. You will have to match bananas, plums, watermelons, pears, berries and other symbols of a kind to win a prize. All fruits along with sevens pay for winning combinations consisting of 3 matching symbols placed on a payline in succession left to right. 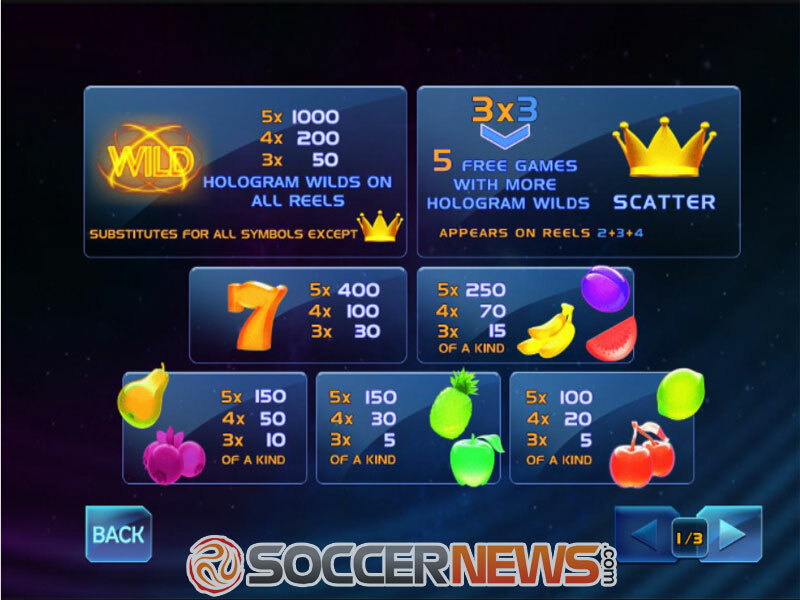 The most lucrative symbol in the game is Wild which appears on all the reels to complete your winning combinations by replacing all regular symbols. It appears in stacks to cover all 4 positions on the reels thus boosting your winning chances substantially. At the same time, Wild it the top paying symbol awarding 1,000 coins for five of a kind combination. Another special symbol is Scatter represented as the crown which occurs only on three central reels. 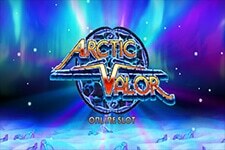 When three of them hit the reels at the same time, you are awarded 5 free spins with more Wilds appearing on the reels. 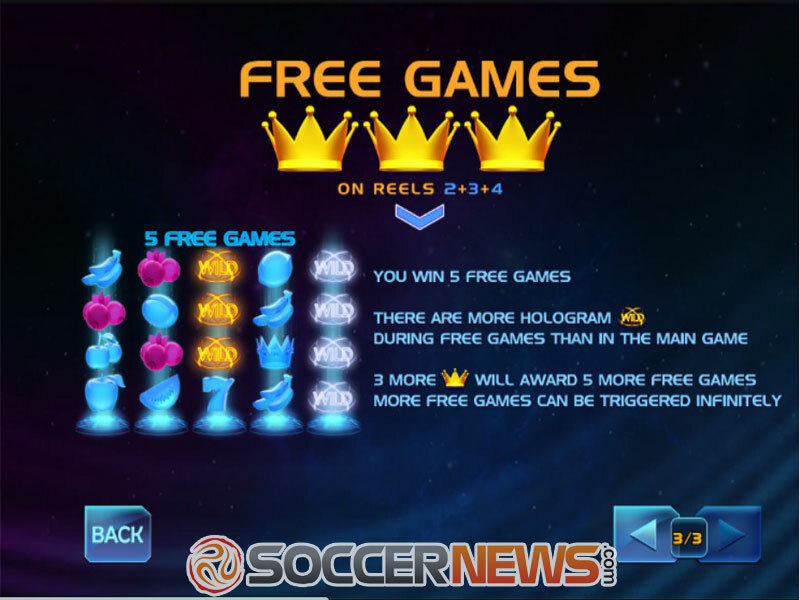 The free spins feature can be retriggered infinitely and thanks to increased number of Wilds, it can award some hefty payouts. 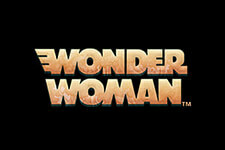 Find Hologram Wilds at any of Playtech-powered casinos. 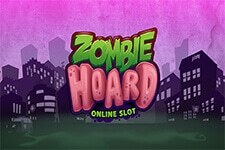 Press the Spin button to start winning payouts. 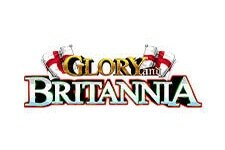 Look out for Crown Scatters to trigger unlimited free spins. "Travel back to the future to create fruity winning combinations with Wilds appearing in stacks to cover your reels entirely. Thanks to them and 40 paylines, multiple winning combinations can be formed at once allowing you to win up to 40,000 coins in a single spin. 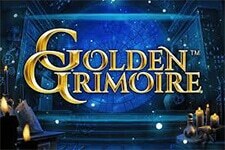 Keep in mind that this is a high volatility game, so it may take some time until you hit a big payout. 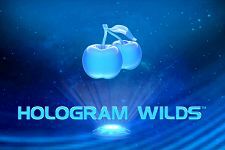 If you are looking for a modern-looking fast-paced game which still brings back a sense of nostalgia, Hologram Wilds may be a perfect fit for you."